Want to step up a simple breakfast go-to? 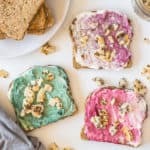 Try this superfood mermaid toast to give your boring old toast a pop of color and extra nutrients! It takes under 5 minutes and your kids will lose their minds that you’re such a cool mom. What mer(maid) could you ask for? So how exactly do I make mermaid toast? Great question! 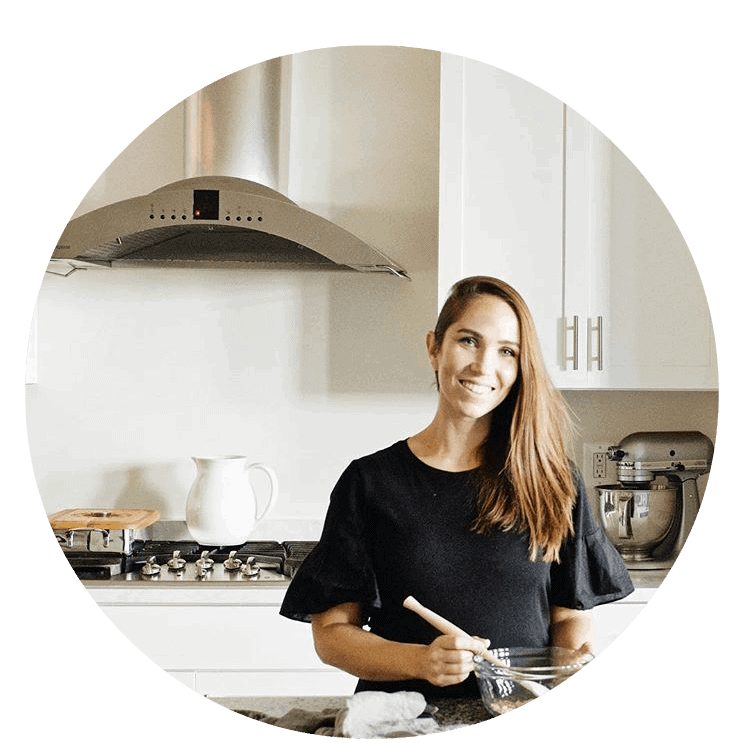 The answer is incredibly simple: superfood powders and toppings! You need spirulina powder, hibiscus powder, and beet root powder. Now you’re wondering where the heck you buy those! Amazon, of course. You can purchase the spirulina powder here, hibiscus powder here, and beet root powder here. I use these as natural dyes for frosting, or anything really! And the colors are bright and vibrant (as you can see in the mermaid toast). But that’s not the most important part of the toast! 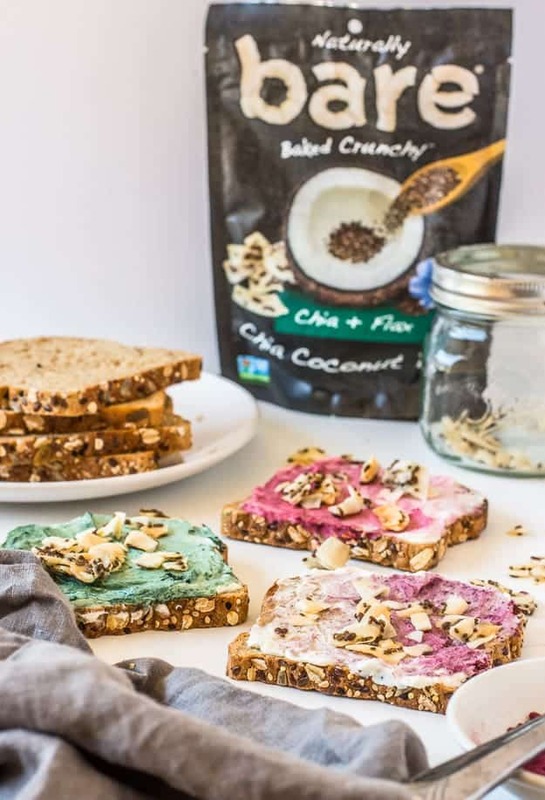 One of our favorite snack companies, Bare Snacks, just launched their newest Chia Coconut Bites and they are mind-blowingly delicious! They have a crispy, flaky, buttery taste to them, but there are only five ingredients. (And, no, butter is not one of them, even though it tastes like it!) 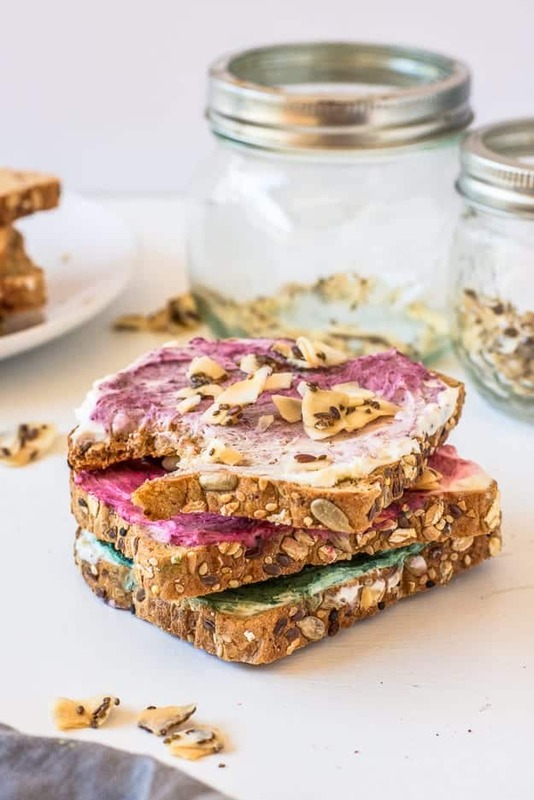 Their subtle sweetness pairs perfectly with the earthy flavors of cream cheese and the powders on the mermaid toast. And of course it gives that much-desired crunch! We’ve been adding the Chia + Flax flavor to everything, from yogurt to smoothie bowls, or just on their own. It’s an easy way to sneak in fiber (especially with the little ones because they think they are getting a treat). They also have Chia + Pineapple, and Chia + Vanilla. Double the fun! You can find more of their products online here, or at your next Target run. 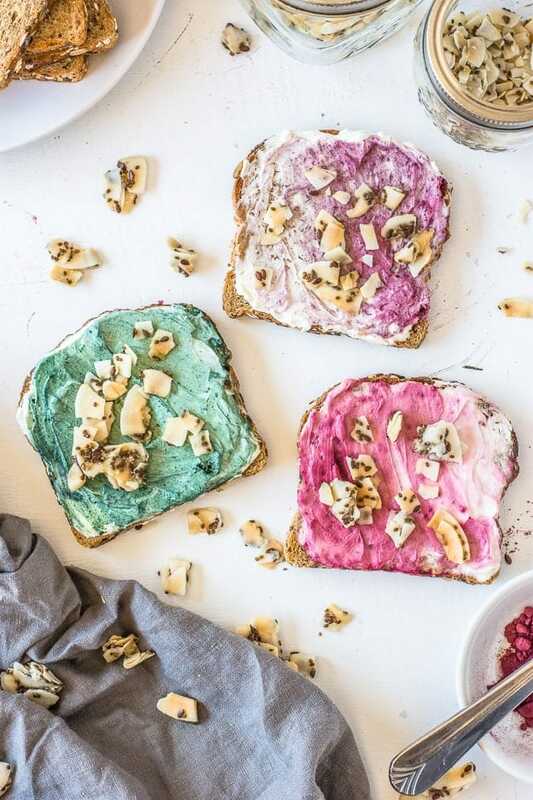 You ready to get your mermaid toast game on? Instagram is gonna go nuts for you! Grab the awesomely simple recipe below, and enjoy! Want to step up a simple breakfast go-to? 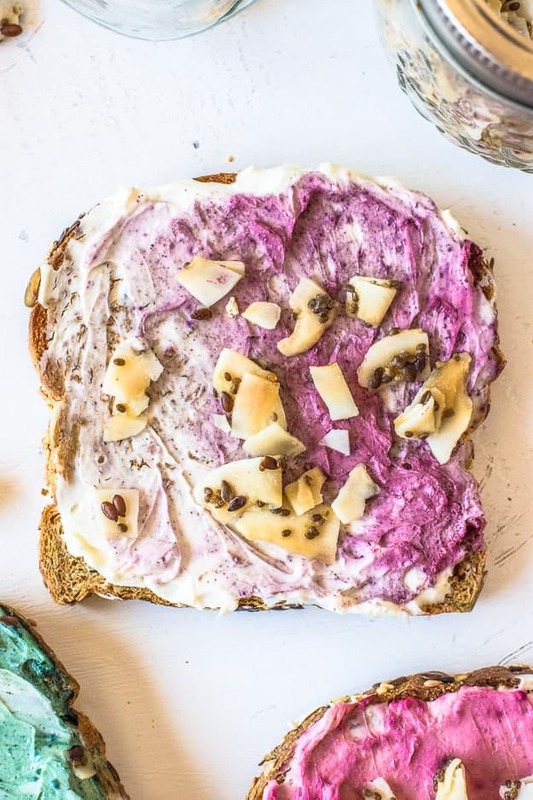 Try this superfood mermaid toast to give it a pop of color and extra nutrients. Spread a thick layer of cream cheese on toast. Sprinkle spirulina powder on the side. Use a knife to carefully mix in the powder, making swirling motions. Spread it to the other side for full coverage. Add a pinch more of powder for darker pigment to create an ombre look. Repeat steps 1-2 with beet root and hibiscus powders. Enjoy! P.S. Be sure to try my Fun Conversation Toast for another exciting and easy breakfast idea. I love these beautiful colors! Can’t wait to try this!